This badge was issued to Kathleen Sexton on 12 Oct 1996. The National Certified Career Counselor was the premier certification for career counselors and was retired in 1999. 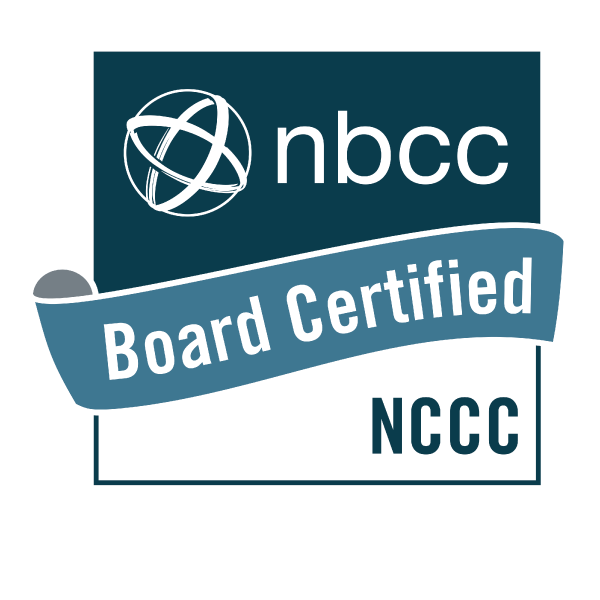 Earners of the NCCC can continue to hold their certification obtained by meeting high standards for the practice of career counseling. They are competent in skills related to human growth and development, social and cultural foundations, helping relationships, group counseling, career counseling, assessment, and professional counseling. Master's degree in counseling of at least 48 semester hours, including coursework in career development, assessment, and a three semester hour practicum with a significant focus on career counseling. Applicant was required to earn passing score on the National Certified Career Counselor Examination (NCCCE). This was a proctored exam on career counseling competencies complete with identity verification at an NBCC-approved testing site.